Location: Basement Theatre B117, Melbourne School of Design, Masson Rd, University of Melbourne. Cities depend on natural ecosystems both within and beyond the urban environment for a wide range of goods and services that are essential for the well-being of their residents, including food, water, air quality, climate regulation, protection from natural hazards, and the delivery of measurable health benefits. For example, parks, gardens and wetlands provide cities with clean air, water filtration, and recreational opportunities, to name just a few. Natural systems such as mangroves protect urban centres against storm surges and provide water quality treatment. Urban forests have been proven to reduce childhood asthma and allergies. Several studies have also shown that property values increase with greater proximity to natural areas. Finding ways to protect and manage natural ecosystems in a way that secures ecosystem services and enhances livelihoods and human wellbeing, is a critical objective. For cities that lie in biodiversity ‘hotspots’ (areas of high biodiversity, where that biodiversity is also under extreme threat), protecting and managing biodiversity for its own sake, is an equally critical objective. With the global population climbing towards a peak of 9 billion by mid-century, 75% of whom will live in cities – as well as Melbourne’s population due to double – these existing natural resources and ecosystems are coming under increasing pressure. As more development is required to support urbanization and growing population, natural habitats are commonly treated as vacant lands awaiting construction. Urban expansion also impacts freshwater biodiversity and security, especially in places with large urban water demands relative to water availability. In the spirit of partnership and innovation, Resilient Melbourne representing metropolitan Melbourne (Australia), Boulder (USA), Durban (South Africa), New Orleans (USA) and Semarang (Indonesia), have called for action and are convening a collective of Chief Resilience Officers to exchange promising practices and approaches tostrengthen natural assets in the face of population growth and climate change. These cities and their Chief Resilience Officers are part of the 100 Resilient Cities program – Pioneered by the Rockefeller Foundation – helping cities around the world become more resilient to the physical, social, and economic challenges that are a growing part of the 21st century. 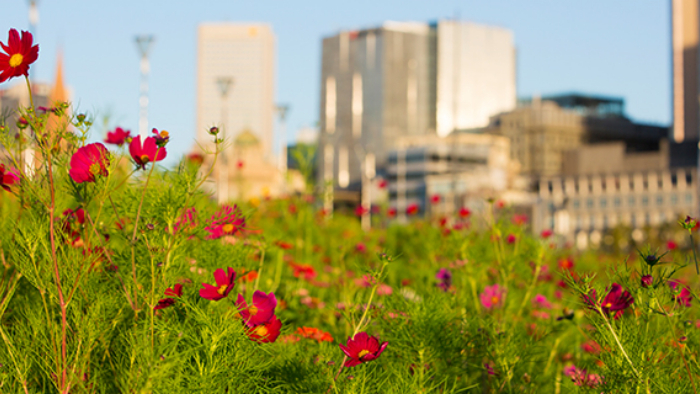 In an age when the number of people at risk at any given time or place is unprecedented, urban biodiversity can play a key role in strengthening cities’ resilience to a changing climate, economy, and society. The issues of ecosystem services, biodiversity protection, water security and climate change are emerging priorities for many of the 100 Resilient Cities. This panel discussion is open to the public and is proudly brought to you by the Melbourne Sustainable Society Institute (MSSI) and Resilient Melbourne.